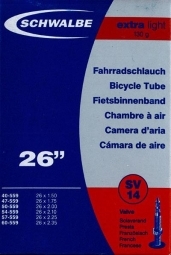 Schwalbe SV14 X-Light Presta 26x1.5/2.35 Extreme tightness! With its mix of specific rubber, you inflate less often because the air leaks are rare. Extreme reliability! 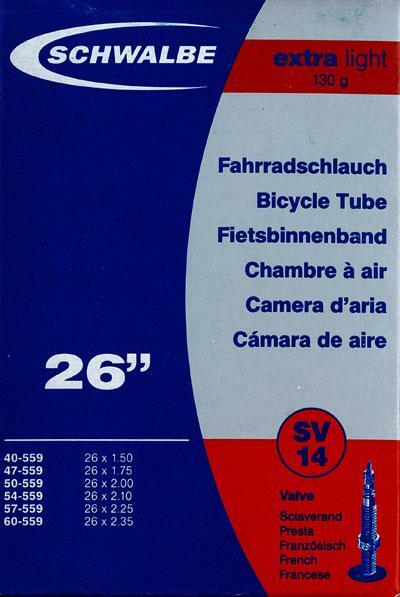 Quality controls Schwalbe established guarantee total reliability. Holding pressure of each air chamber is monitored twice during the manufacturing process.